A genuine gold nugget is more than a simple shiny element. Itbegins in an exposed but unmined vein of gold. Eventually a piecewill break off and wash into a river or stream, where it gets a natural,purifying tumble wash from Mother Nature until finally itsglint catches someone's eye. It was just such a nugget, fished froma stream near a watermill, that started the great California GoldRush of 1849. California's supply of genuine nuggets was quicklydepleted, leaving the big companies to come in and mine the deeperdeposits on an industrial scale. But the world's rivers and streamsare still full of gold nuggets, for those who know where to look. 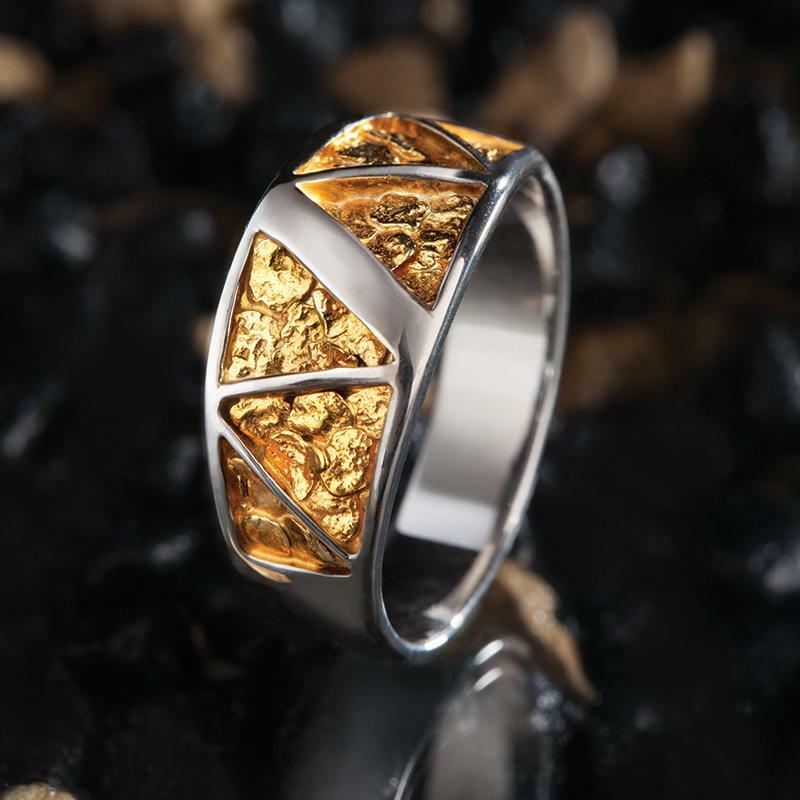 The Stauer Gold Nugget Men's Ring is made from just such a singlegold nugget, discovered in a waterway. This unique nugget hasbeen cleaned to bring out its natural color, and then fashioned byexpert goldsmiths into a one-of-a-kind men's ring. Slip this on and you'll be wearing gold as nature intended, in a design made for men who know thevalue of the authentic.